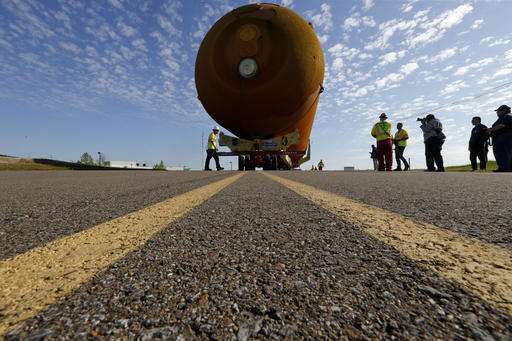 Last surviving space shuttle external tank on way to L.A.
NASA's only remaining space shuttle external fuel tank is headed to California, where it will land as part of a permanent display with the retired space shuttle Endeavor. 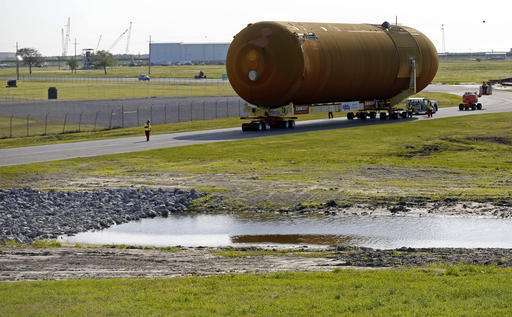 The tank, ET-94, was built for the space shuttle program but never used in flight. 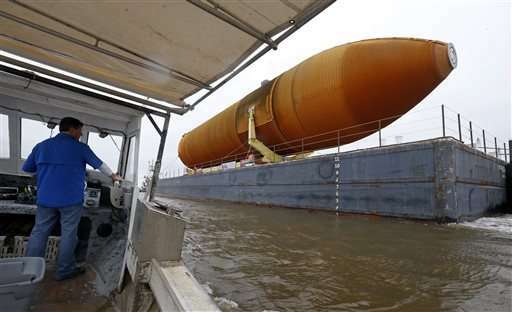 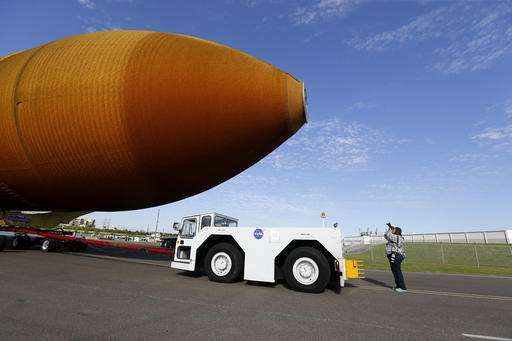 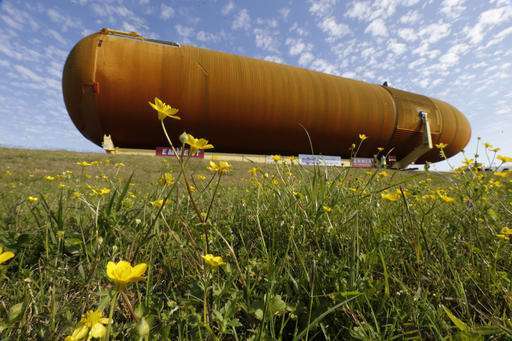 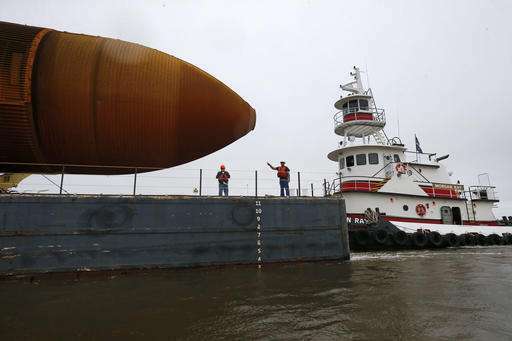 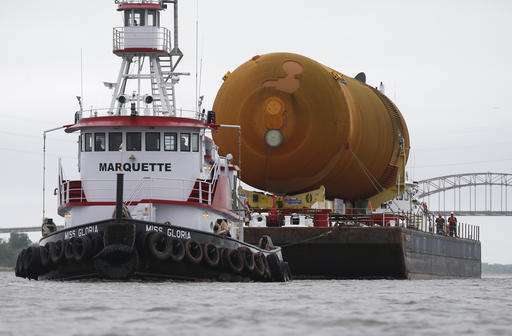 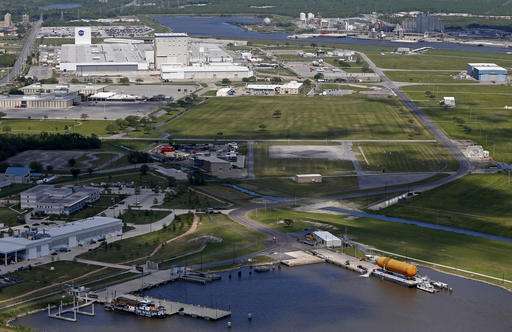 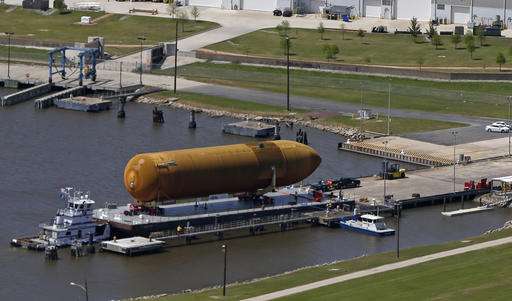 The 15-story, 32 ½ ton external tank left the NASA assembly facility in New Orleans on a barge Sunday and was to arrive at the dock in Marina Del Rey on May 18 before beginning a 12-mile ride through the streets of Los Angeles to its new home, the California Space Center. 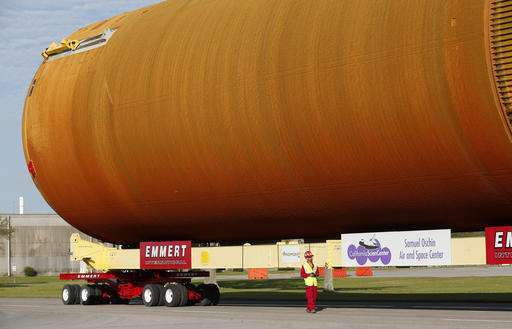 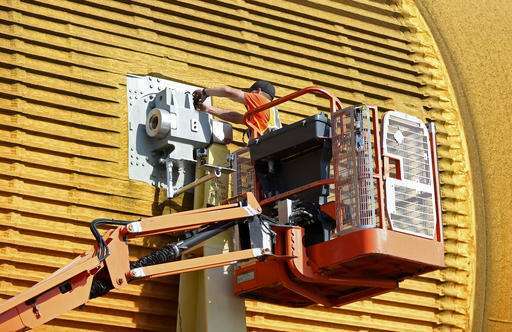 NASA agreed last year to donate ET-94 to the downtown Los Angeles museum.